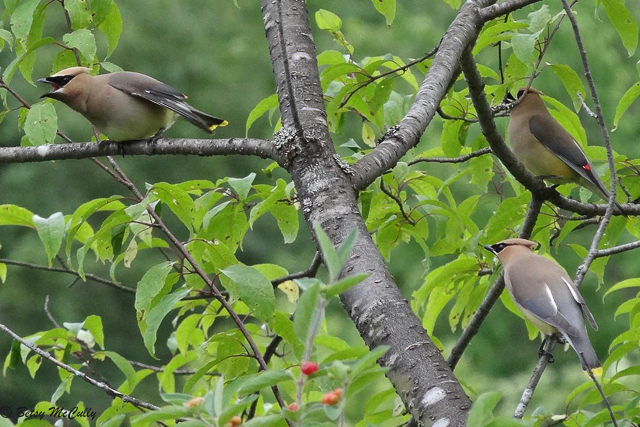 Cedar Waxwing (Bombycilla cedrorum). Displaying. Open woodlands. Year-round. Breeder.